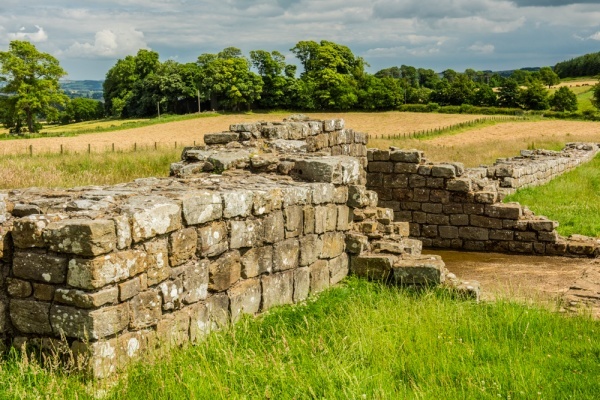 Black Carts includes a well-preserved stretch of Hadrian's Wall running across a farm field, with the remains of a wall turret. This section of the Wall stretches for 460 metres, following the course of the B6318, just north of the road. 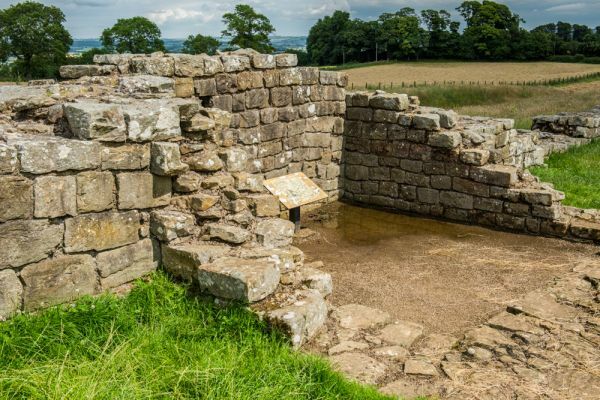 The turret is also known as Turret 29A and was one of a pair built to serve Milecastle 29, to the east. The name Black Carts comes from the Old English word 'ceart', meaning rocky. The turret measures 3.45 by 3.4 metres (roughly 11 feet by 11 feet), with a south facing entrance, and was likely built by the 20th Legion. The walls stand up to 11 courses high, with the doorway framed by large upright stones. One of the fascinating features at Black Carts is a clearly visible set of grooves in the stone lintel of the entrance, where the door pivoted. The turret is supported by a pair of wing walls. 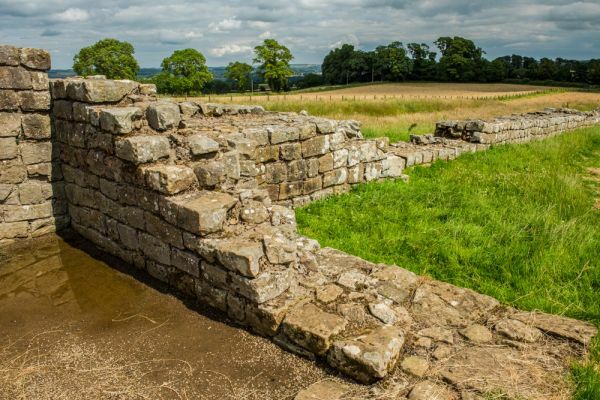 This suggests that the turret was built before Hadrian's Wall had reached this point, so it had to be free-standing. This stretch of the Wall stands about 100 metres east of the Simonsburn road. 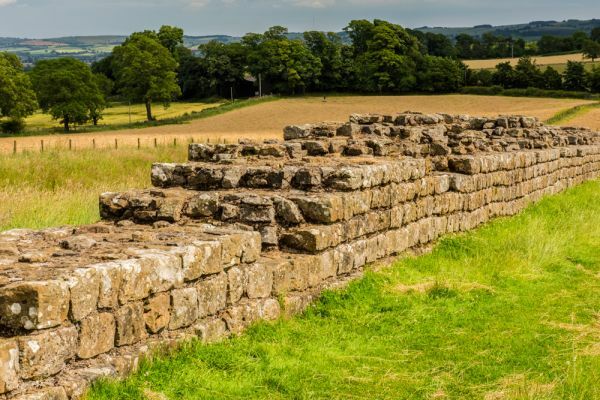 Hadrian's Wall was built with two widths; the so-called Narrow Gauge and Broad Gauge. At Black Carts the Wall is Narrow Gauge, 2.3 metres wide. The turret was excavated three times, and a large quantity of coins was discovered, along with pieces of Roman millstones. 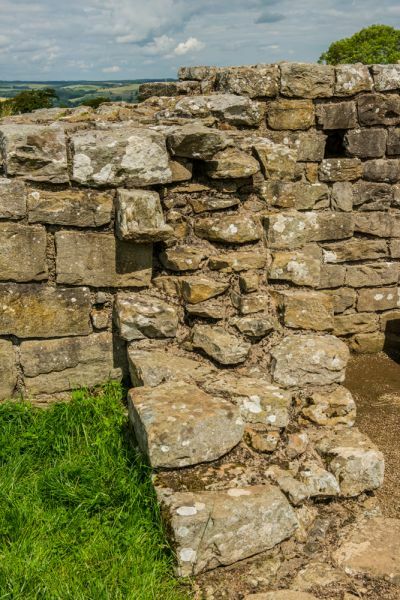 This is one of the most difficult sections of Hadrian's Wall under the care of English Heritage to access. Not because it is remote; far from it. The Wall is clearly visible from the B6318, but there is no easy place to park. There is a road at either end of the farm field, but very, very little space to safely pull off to one side of the road to park. 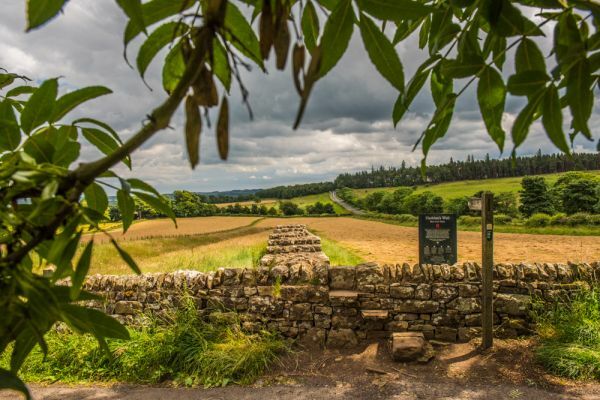 So you're left with access on foot, via the Hadrian's Wall Path. The easiest way we found was to park at a large layby on the B6318 about 1/2 mile to the west, on the north side of the road (heading east). The approximate OS grid reference is NY874715. There is room for about 5 vehicles. From there it is a simple and relatively level walk of about 15 minutes to reach Black Carts. It is worth the effort to reach Black Carts. The Wall is in excellent state here, as is the turret. The scenery is not as spectacular as further west but it is still a rewarding place to visit, especially if you enjoy a bit of a walk! Location: Located 2 miles west of Chollerford just north of the B6318. Note: it is very difficult to park near the turret on this section of Hadrian's Wall. 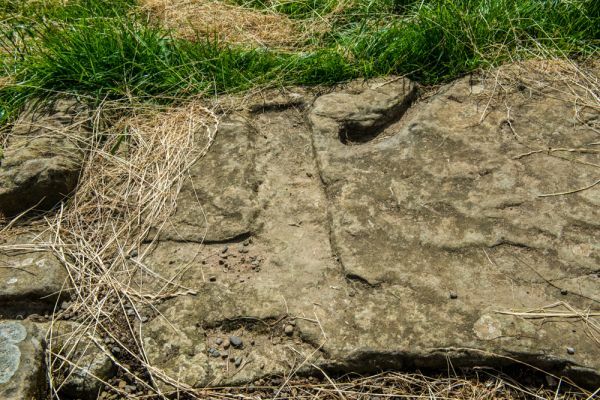 Foot access is by far the easier option, as the Hadrian's Wall long distance path follows the course of the Wall here.